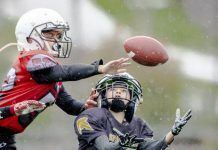 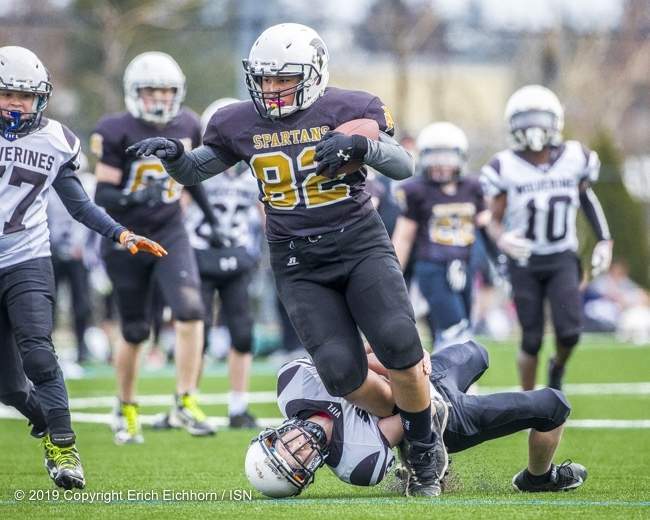 April 14th, 2019 Victoria, BC (ISN) – The Victoria Spartans hosted a trio of games Sunday in Island Football League action at Goudy Field in Langford to close out Week 3 play. 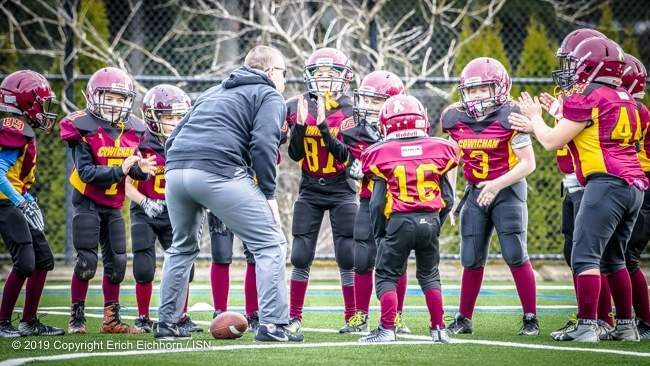 The Atom division Spartans got Super Sunday off the ground improving to 2-1 with a victory over visiting Cowichan Bulldogs, now 1-2 after three weekends of play in the eleven week league play. 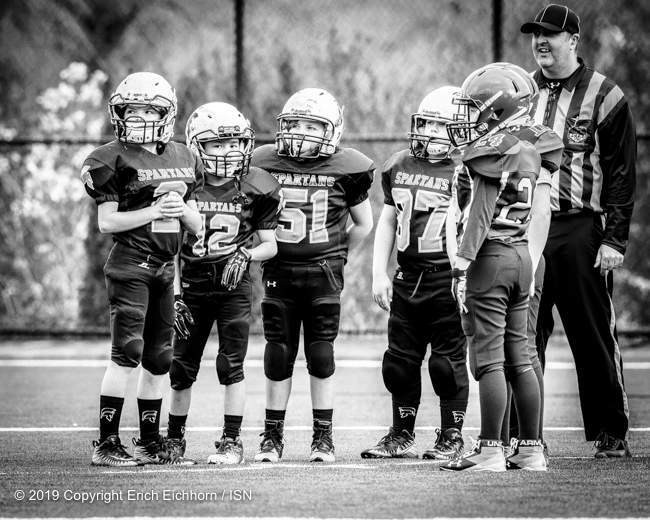 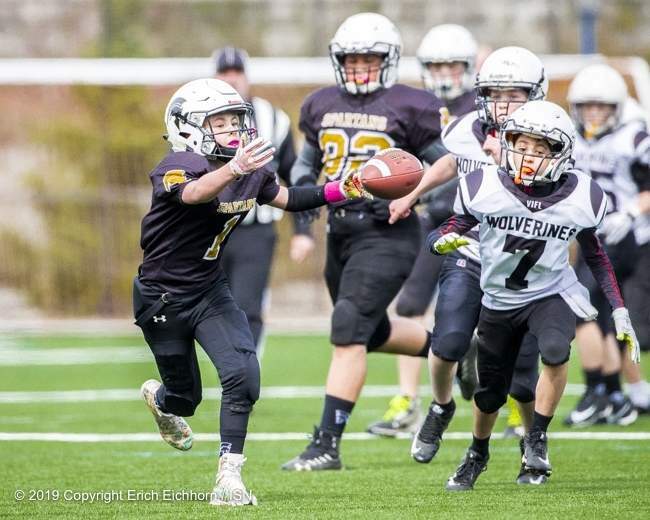 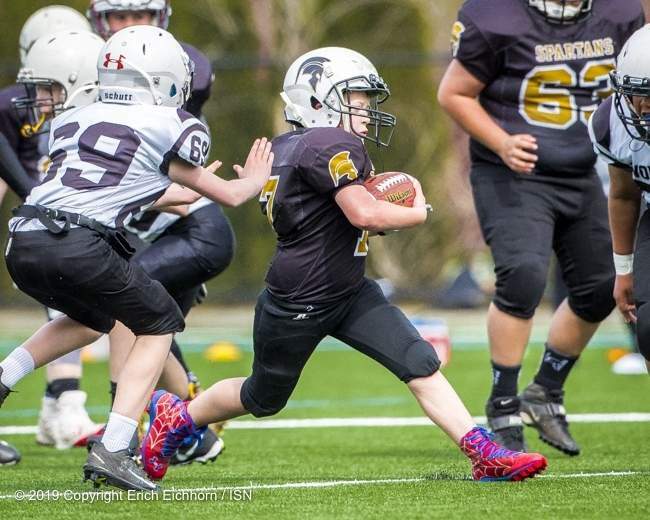 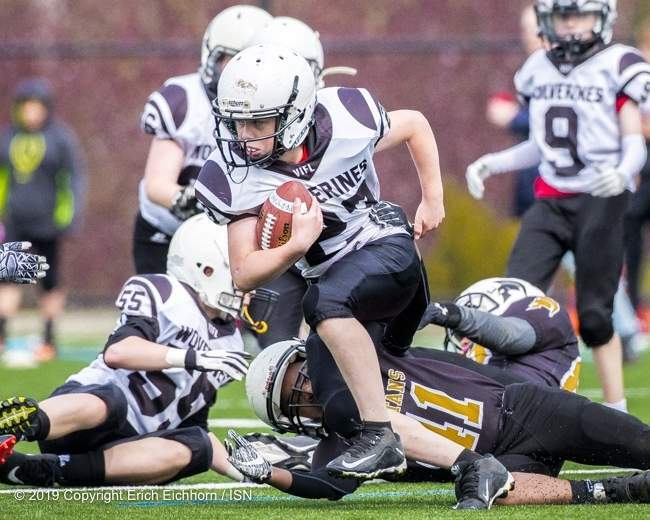 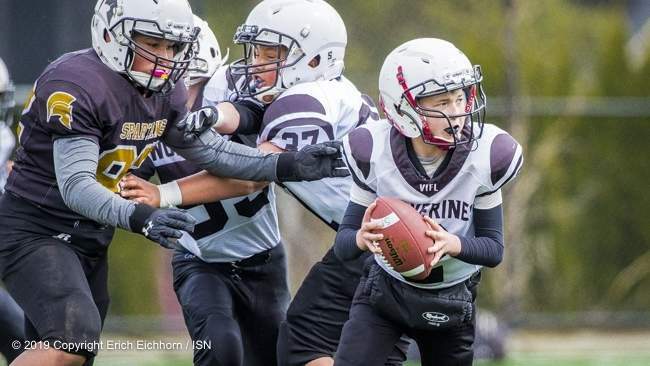 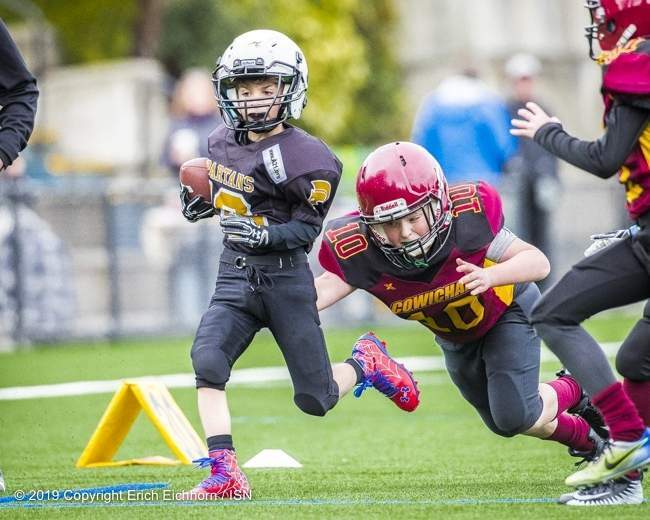 In a contest between the PeeWee, second place Saanich Wolverines and the fourth place Spartans it would be the visiting Wolverines that would dominate 28-6 over Victoria in the noon hour match up at the newly-turfed Goudy Field. 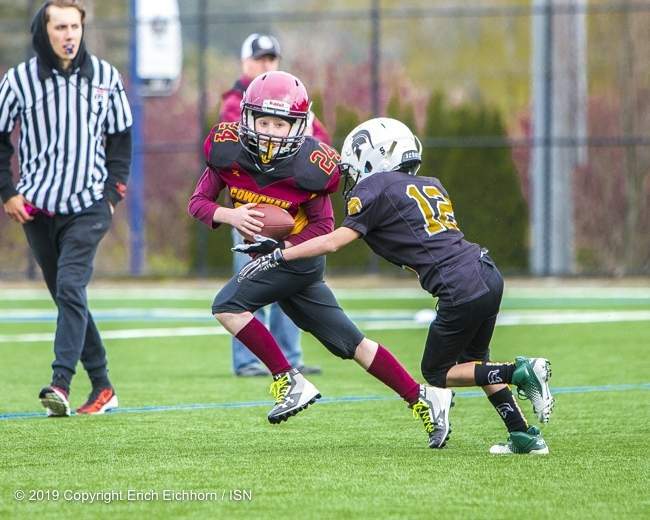 With the win Saanich posts a 2-1 record in the standings chasing the high octane Westshore Warriors for top spot. 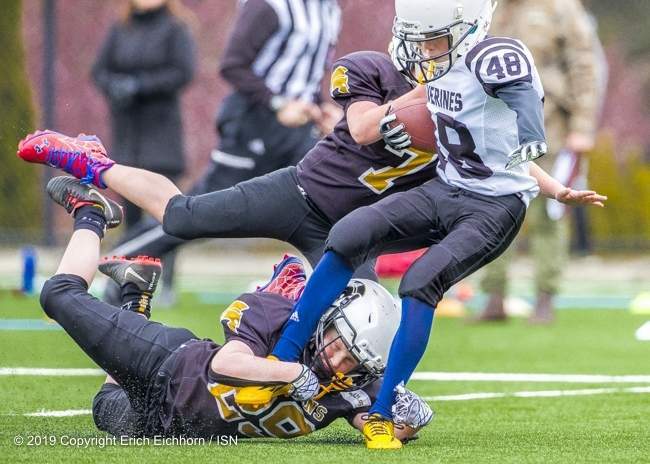 ISN photographer Erich Eichhorn sat in on a pair of games Sunday and brings you this small look at some of the action from both the Atom and PeeWee games.